We are lucky to have these people as our patrons. Stanley Tucci is an American actor, a writer, a producer and a film director. Tucci was nominated for an Academy Award for Best Supporting Actor for his performance in The Lovely Bones (2009). He won two Emmy Awards for his performances in Winchell and Monk. He was nominated for a Grammy Award for Best Spoken Word Album for Children, for The One and Only Shrek! Acclaimed Oscar winning actress and prominent human rights advocate, Vanessa Redgrave has been one of the best-loved and most-sought-after actresses of international art house cinema. Most notably in 1966, she performed in Blow-up, directed by Michelangelo Antonioni. In 1977 she won an Academy Award for her role in Julia a film that depicts the relationship between two friends. In 2017, she directed and starred in Sea Sorrow with Ralph Fiennes and Emma Thompson which we screened with a Q+A at our 2018 festival. 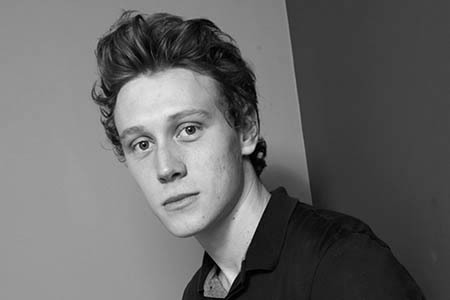 George MacKay is one of the most exciting young film actors of his generation. After being scouted at the age of 10 he appeared in Peter Pan and the Lost Boys and has since graduated from small roles in TV into a major feature film career. George has worked with Tim Roth, Chiwetel Ejiofer and Sophie Okonedo as well as Daniel Craig and Liev Schreiber. Lauren McCrostie is a 21 year old actress from London. Since embarking into the industry, she has been involved in a range of productions with her most recent work being the greatly anticipated Miss Peregrine’s Home for Peculiar Children directed by Tim Burton. Steven Moffett is a Scottish television writer and producer, known for his work as show runner, writer and executive producer of Doctor Who and Sherlock. A lifelong fan of Doctor Who, Moffat’s first work on the series aired in 1999 and continues into 2017. He has won several awards, mainly for Doctor Who and Sherlock, including two Emmy Awards, five BAFTA Awards and four Hugo Awards. Sue Vertue is an English television producer, mainly of comedy shows, including Sherlock, Mr Bean and Coupling. Sue is the daughter of producer Beryl Vertue. In the late 90s she and her partner, Steven Moffatt, joined production company Hartwood Films, run by Beryl Vertue.